To process data first select desired table columns or curves then select appropriate item in Processing menu. Processing parameters dialog will be opened. All processing algorithms except histogram require X and Y values to be set. Therefore select X column along with Y column(s) if you are processing data from table. 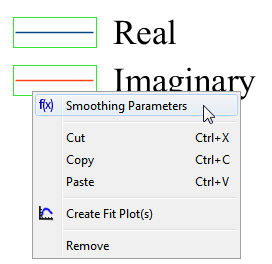 Different processing tools need different number of input columns or curves. You can process multiple selected columns of curves if one column or curve is enough for used processing method. 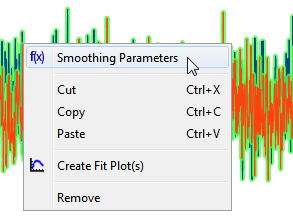 Smoothing for example has one curve input so you can select smooth multiple curves at time. 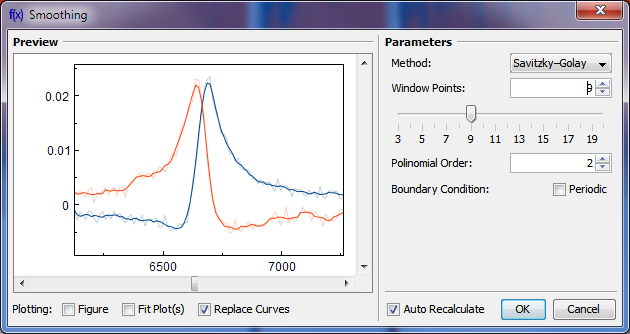 Otherwise Fourier transform need two (real and imaginary) curves so you cannot process multiple data with one click. 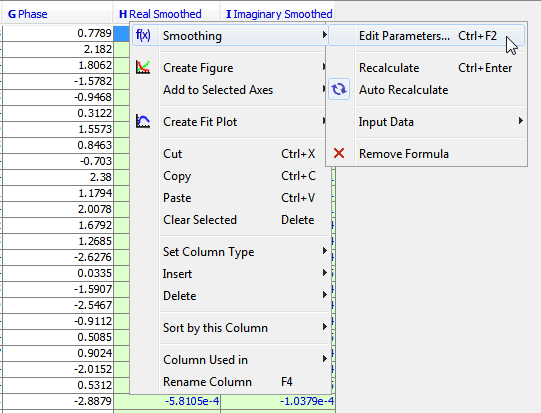 MagicPlot can automatically recalculate formula when data in used columns are changed. Set Auto Recalculate checkbox to enable this feature.